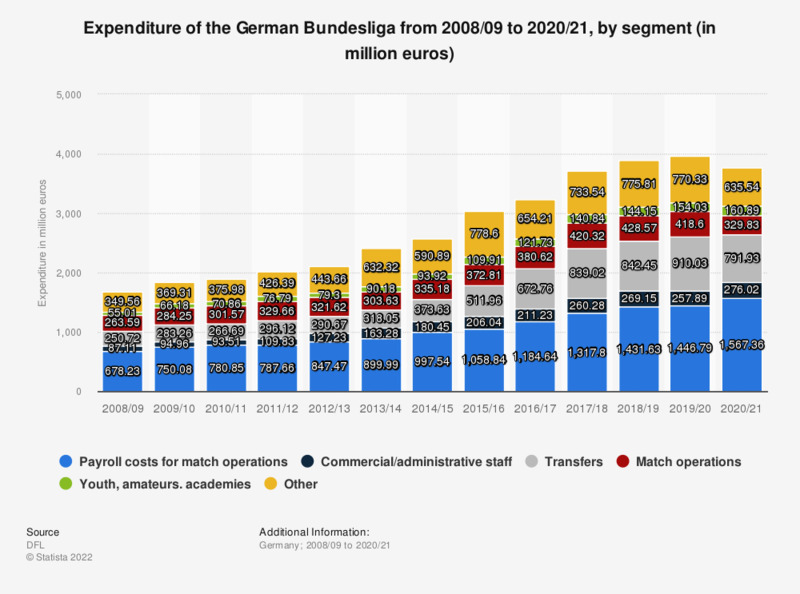 The statistic depicts the expenditure of the German Bundesliga from 2008/09 to 2017/18, broken down by segment. In the 2017/18 season, the expenditure for transfers was at 839.02 million euros. Everything On "German Bundesliga" in One Document: Edited and Divided into Handy Chapters. Including Detailed References.